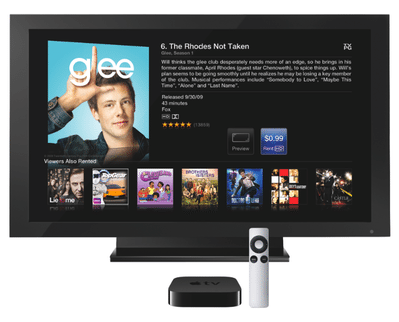 * iOS TV Applications: Expect to see an iPhone/Pad like marketplace for television applications. Video sharing/streaming/recording apps, interactive news apps, and of course games. * a la carte (app) stations: With Apple’s iAds, content producers (eg. ABC/NBC/etc.) can directly monetize and distribute their content. This will eventually destroy the television side of the cable and satellite industry, as your only requirement to access these on-demand stations will be an internet connection. Say goodbye to your monthly cable bill. * .Me Picture/Video sharing: At $99 your parents, grandparents, and friends will have an iTV. Sharing pictures/videos from your iPhone will happen with the push of a button. Imagine getting a notification of new family videos the next time you turn on your TV. My mom will love this feature. * The iPad will turn into one big badass remote control: The iPad will be the preferred input device for the iTV. You’ll be able to editing videos, control games, and extend the interactive television experience. Imagine watching monday night football on the TV while viewing/exploring other camera angles on the iPad.